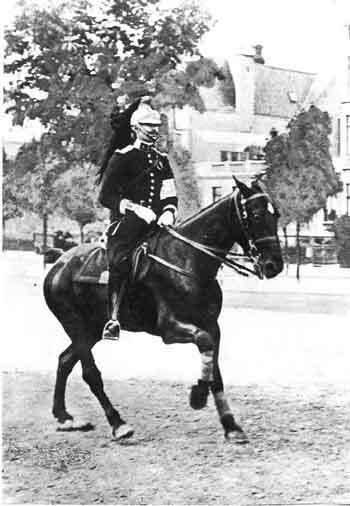 Endurance riding was first developed in the early 1900s as a military test for cavalry mounts. Horses were required to go on a 5-day, 300 mile (483 km) ride carrying at least 200 lbs. The cavalry test became a civilian sport in the early 1950s with the reduction of distance and time down to a one day 100 mile ride. In 1978 the Federation Equestre Internationale (FEI), the international governing body for World and Olympic equestrian events, recognized endurance riding as an international sport with the United States Equestrian Federation (USEF) being responsible for overseeing all US teams competing in international FEI competitions. More than 300 FEI endurance competitions are held annually worldwide, incorporating over 50 nations throughout the globe. 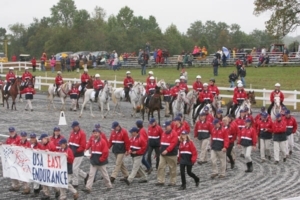 The American Endurance Ride Conference (AERC) is the official national governing body for endurance riding in North America. All endurance riders, and all sanctioned endurance rides under the jurisdiction of the AERC, are bound by the rules and regulations of the AERC. The AERC also maintains the ride points, lifetime mileage and awards database for each horse and rider entered in both national and internationally sanctioned endurance rides. The AERC sanctions more than 700 rides each year throughout the United States and Canada. An Endurance ride is a timed test against the clock of an individual horse/rider team’s ability to traverse a marked, measured cross-county “trail” over natural terrain consisting of a distance of 50 to 100 miles in one day. Every ride has a specific start and finish time, and all horse/rider teams must remain on trail throughout the ride. Riders are free to choose their own pace during the competition, and may ride, lead or follow their horses as they wish. Endurance is a strategic test of horsemanship. Riders are challenged with regards to effective use of pace and thorough knowledge of abilities and level of fitness of their horse against the difficulty of the course/terrain/weather. All riders must conduct themselves according to AERC rules of sportsmanship. A rider can take up to a year or more to train themselves and a horse to be ready to compete in a 50 mile ride, and several years to compete in a 100 mile ride or an FEI level event. 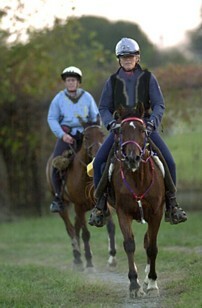 Endurance horses must be thoroughly trained and conditioned to meet the demands of the modern endurance competition. Welfare of the horse is paramount in this sport, and all horses entered must pass a thorough examination by a licensed veterinarian before they are allowed to start the ride. Horses must also pass additional mandatory vet examinations at specific check-points during the ride, and a final exam within 1 hour after the ride. Any horse showing lameness or failure to meet specified metabolic parameters is immediately eliminated. A high level of organization is required to host an endurance competition. On average it takes a minimum of 6 months to develop a ride in an established venue, and up to a year to develop a new location. The Ride Organization is responsible for determining the “trail” according to AERC specifications, briefing the riders on the rules and regulations, enforcing AERC policy, and keeping track of all riders and horses as the ride progresses.